Calling it “a grind” would be an understatement. Lake Huron Chinook fishing has been a tough this summer, plain and simple. Early May provided some steady action for kings in the three-year-old age class, both on the main basin of Huron and Georgian Bay, but summer brought about a drought in good numbers of big fish. Local anglers are blaming the intense winter and cold summer for the poor fishing. Water temperatures across Georgian Bay and Huron have had the kings in water far away from the traditional ports that produce good catches in the month of July. There is little argument that Chinook on the Ontario side of the lake were a difficult target until the past few weeks as mature fish start heading home to local watersheds and stocking sites. That doesn’t mean the fishing has been poor for the Huron troller, however. Mixed bag catches on Huron have been the norm during July and thus far in August. Coho showed up in southern Huron in early July and have been feeding in the lower to mid lake close to Ontario shores in numbers never seen before. 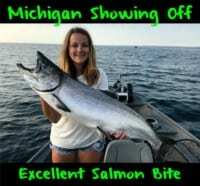 Whether these fish are naturally born from Huron tributaries at the top of the lake, or stocked migrants from Lake Michigan, it does not matter, as they are a welcomed addition to the cooler. 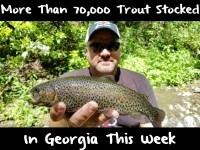 Lake trout catches have been good, too, and complimented with some outstanding offshore steelhead fishing as of late. The Chinook fishing has been slowly picking up over the past week, but the mix bagged approach to the offshore game has been the ticket, filling iceboxes and putting smiles on angler’s faces. My mixed bag approach is simple, but effective. Four rod spreads, consisting of two downriggers and two diver combos. The downriggers have been hauling Pautzke Fire Brined anchovies and/or locally produced Hotfly (tinsel fly) soaked in Liquid Krill behind Spin Doctor flashers. Good sized Huron Lake Trout have been chewing down the brined anchovies like candy. Huron Lakers are suckers for meat, and the bite stimulants in the Fire Brine mix I utilize definitely bring more trout to the net. The mature Chinooks I have taken in the past two weeks are coming off the same combos as above, with flies and meat taking every single one. The biggest coho we have boxed in recent trips have all come off the Fire Brine meat as well. 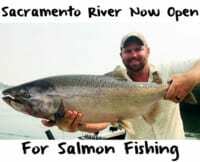 Steelhead and coho have been taking a liking to spoons fished off the diver rods, 150–250 feet behind the boat. Trolling speeds have ranged from 2.3-2.8mph while targeting depths from 80-100 feet of water. Rigger sets for lakers and Kings have been anywhere from 10-50 feet above the bottom. As the coho begin to shift north and more mature Kings enter the near shore waters of Georgian Bay and Huron the fun really begins. The past two weeks have seen mature Chinooks entering local bays in decent numbers, with the majority of fish in the mid teens (being just above average size for Huron Chinook over the past decade). My go-to presentation for staging Kings in local waters is predominately a meat game, with anchovies and herring taking the shots. Here is the simple brine I utilize to put Kings and lakers on ice throughout the summer and into early fall. Semi-thaw a package of anchovies or herring, do not brine fully frozen baits. Add bait to Ziploc. Pour in 1/3 bottle of Fire Brine, add one tablespoon of Fire Power, a couple squirts of Liquid Krill and place in fridge. Bait will begin to brine/set within 3-4 hours. Within 6-8 hours the baits are ready to fish and will stay in prime condition if kept cold and in the brine solution for up to 72 hours. I fish Rhys Davis anchovies, mounted inside Rhys Davis anchovy special heads. I re-tie the harness with 30-pound Maxima fluorocarbon and Owner chemically sharpened treble hooks. I run these rigged baits 30-60 inches behind Spin Doctor flashers trolled around 2.5mph. Editor’s Note: Josh Choronzey is the outdoor writer for the Owens Sound Sun Times. He can be seen drinking Timmy’s daily while fishing in Ontario, Canada.